Struggling with Low Porosity Curls? Every Strand Adds Superior Moisture and Shine! According to the NaturallyCurly Hair Porosity Type page, "Hair with low porosity has a tightly bound cuticle layer with overlapping scales that lay flat. This type of hair is usually considered healthy, and is often very shiny, especially when it's dark in color. Low porosity hair repels moisture when you try to wet it and is hard to process since it resists penetration of chemicals." So if your hair is anything like mine, you know that it's difficult to find a moisturizing product line that truly leaves your coils super duper soft. That's where Every Strand comes in. 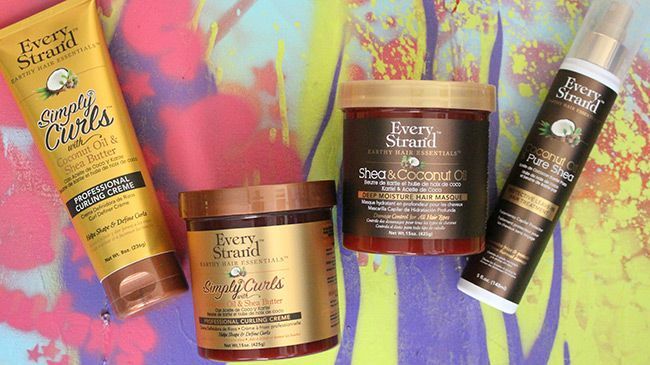 The Every Strand team understands that low porosity hair loves loves loves coconut oil and shea butter. So they've given it to us in their new product line. 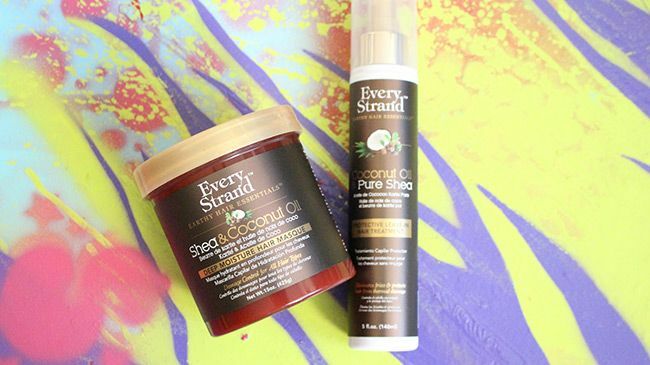 Every Strand heart emojis you so much they created a shea butter and coconut oil hair masque and leave-in conditioner! Every Stand is a life saver for those of us with low porosity 4Cs! You may be familiar with my obsession with moisturizing. In which case, you know how strongly I feel about the Every Strand Shea and Coconut Oil Hair Masque. It's a miracle worker for my 4C coils and I know you're going to love it. Another hero product in the line is the Coconut Oil and Pure Shea Protective Leave-In Hair Treatment. It's going to nourish your curls all throughout your regular work days, play dates, and slay-filled nights! What's even better about these products? I'm going to give them away, so keep reading! Do you have medium or high porosity strands? Well, you can use Every Strand, too! Every Strand Simply Curls with Coconut Oil is perfect for all hair textures and porosity levels. I recommend the Simply Curls with Coconut Oil and Shea Butter Curling Creme to my curlistas with medium and high porosity hair strands. 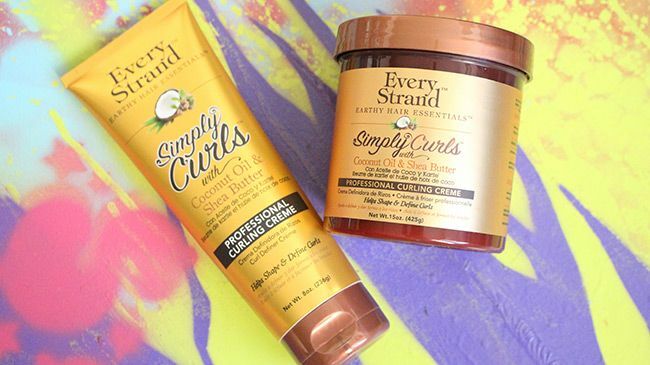 This product refuses to let your curls down! With its lightweight formula and heavenly scent, you're going to swoon for your ringlets and curls all throughout the day. NOTE: If you don't know whether or not you have low porosity strands, don't worry! There are several at-home tests you can perform to determine your hair porosity type. I know that you're excited to get your hands on these shea butter and coconut oil power houses. And I'm excited to gift them to 5 lucky winners. But if you want these tress-treasures right now, click on the images below to purchase. If you'd like to win these products, get the details below! Tell us: Why do you want the entire Every Strand product line to help add moisture and shine to your low porosity curls and coils? Don't have low porosity strands? Then, tell me how you will use the product line for your high porosity and medium porosity strands! To see the luxurious hair masque in action, watch this video of the lovely Tay applying it to her coils!